Bill Ferzoco is a certified Player Safety Coach (PSC). He earned his PSC certification from USA Football's Heads Up Initiative. He has been involved with RYA for six years as a parent, coach, board member, registrar and PSC. In addition to his other responsibilities, Bill can usually be found working the grill on game days. Bill may be a long time Patriots fan, but he is all Seahawks at the local level. 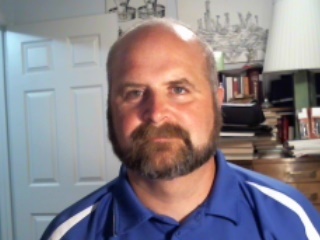 Bill teaches Biology at South Lakes High School, coaches the SLHS Science Olympiad team, sponsors the SLHS Science Honor Society and you might also see him cutting the grass at the softball and practice fields behind the high school. Bill is a 10-year Reston resident who embodies the Live, Work, Play and Get Involved spirit. RYA is proud to be part of USA Football. Heads Up is the only nationally accredited program with content from football experts and health professionals. The Heads Up program provides youth football a comprehensive solution for a better, safer game. RYA coaches are Educated and Certified through USA Football. All RYA coaches are required to receive certification and appear on the USA Football National Coaching Registry. Heads Up Football focuses on three key elements to enhance player safety: Heads Up Tackling SM, Equipment Fitting and Concussion Awareness. Equipment Fitting: It is essential that every player has a properly fitted helmet and shoulder pads. RYA has specific equipment managers trained to properly fit players with the best equipment available. Helmets must be securely strapped under the chin. In Season parents and players should care for equipment and report and issues with fit or function of helmets and pads. Haircuts and other changes may require equipment to be refit throughout the season. Concussion Awareness: All concussions are serious. Recognition and proper response when they occur is the best way to prevent further injury. RYA is committed to player safety above all else. No one technique or piece of equipment is 100 percent effective in prevention of injury. The RYA standard in player safety is WHEN IN DOUBT, SIT THEM OUT. Players with suspected concussion will be immediately removed from play or practice, parents will be notified and the player will remain out until cleared by a health care professional. Rest is critical to recovery. Cleared players may return under the progressive return to activity program.